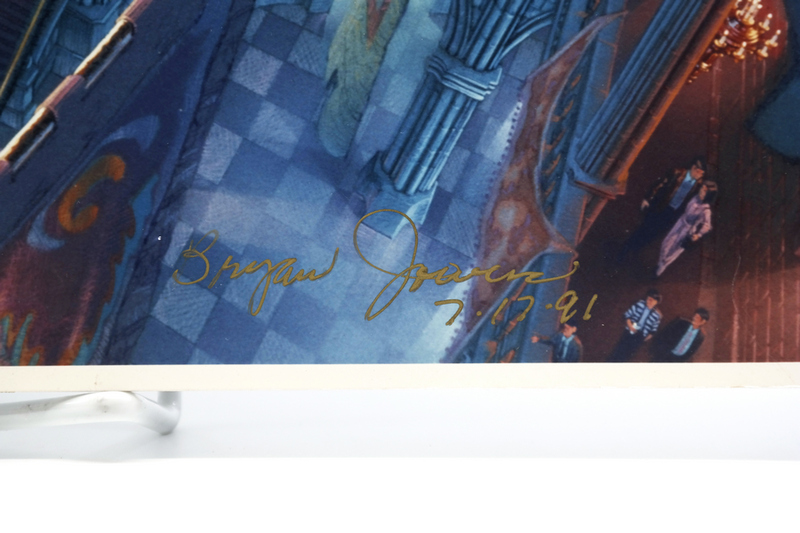 This is a limited lithographic photo print originally sold in the Disney Gallery at Disneyland in the late 1980s - early 1990s. 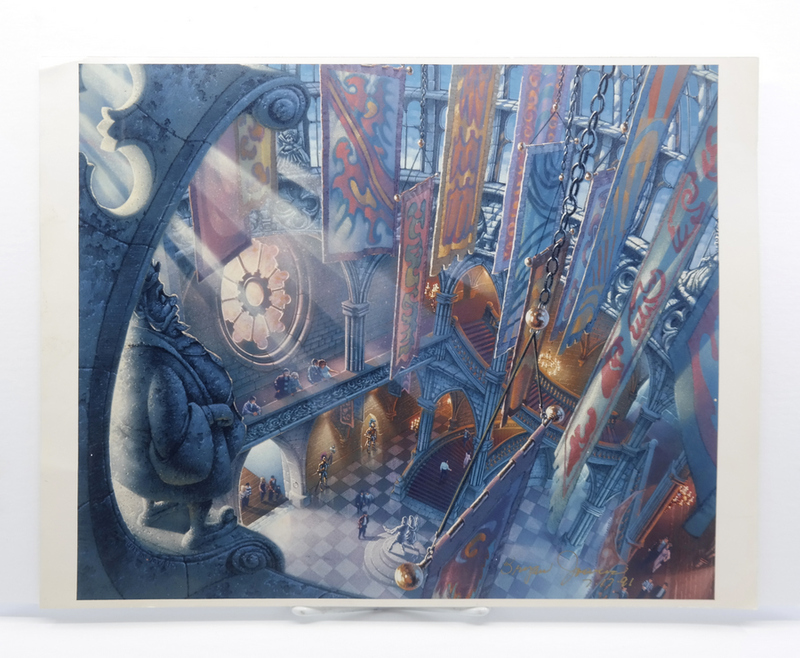 During this time, the Disney Gallery, which opened above Pirates of the Caribbean in Disneyland in 1987, to display the art, designs, and models created by artists at WED Enterprises. 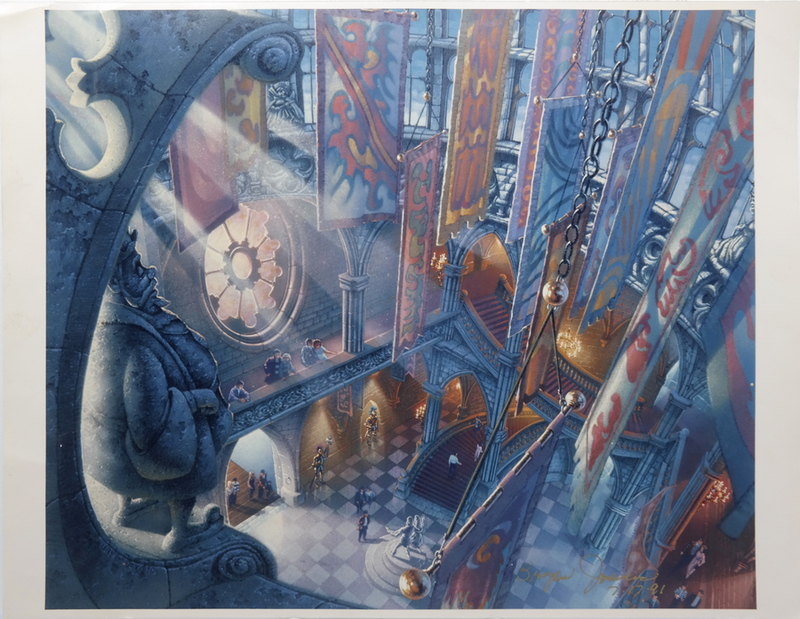 This particular print is of Bryan Jowers' concept art for Sleeping Beauty Castle at Disneyland Paris, and was signed by the artist. The overall measurements of the piece are 11" x 14", with the image area measuring 10.5" x 12.5". The print is in very good condition with some light handling wear.